Most dietitians, nutritionists and health experts agree these days on some common basic principles when it comes to nutrition: eliminate most processed junk foods and eat a greater amount of foods closer to their natural whole state. This is largely true for whatever dietary regimes you to choose to adhere to, whether vegan, raw vegan, vegetarian, paleo, ketogenic, straight-up carnivore or for those following variations of many diet types. There are also certain ways we can choose to prepare cooked foods that can not only dramatically affect nutrient content and digestibility, but also provide healthier alternatives to some bad cooking habits routinely used in many households. When you make your own meals at home from scratch you are given the opportunity to increase the overall healthfulness of the foods you prepare on a daily basis for you and your family. Here we will discuss a few simple ways to prepare traditional vegetarian and vegan staples like beans and grains for best assimilation as well as provide various approaches for making your cooked meals more digestible and nutritious. There are some schools of thought that suggest cooked foods like grains, beans, potatoes or vegetables can cause sluggishness and low energy after they are consumed. This is a philosophy frequently adopted by many raw foodists who believe that cooking food over 115–118°F (45-48°C) destroys enzymes, water content and living nutrients that are required for proper nourishment. While we believe eating at least a partially high raw diet of fresh fruits, vegetables, nuts and seeds can be very helpful for long-term health, we don't necessarily agree that eliminating all cooked foods from the diet is essential, nor is it practical for many people. The heat processing of certain plant-based foods is in fact a necessary step in order to make them edible and pleasant to eat. When consuming a range of simple cooked foods to more complex cooked meals there are, however, a number of ways to increase their complete breakdown and improve their efficient energy conversion. As we mentioned, one of the most significant recommendations we can offer is to try to select from a list of whole food options when shopping at your local market or grocery store. This means spending most of your time in the produce section or bulk food isles. Stocking up your pantry with an assortment of different grains and beans can provide affordable essential staple foods to have on hand for simple home-cooked meals. They are especially appropriate for those, like ourselves, who predominantly eat a diet low in animal-based proteins. Because beans contain oligosaccharides, complex sugars that are very difficult to break down, if not properly prepared they can cause digestive turmoil and notorious flatulence producing side-effects. All raw legumes also contain some degree of lectin content, which may cause gastrointestinal discomfort when not completely cooked or soaked appropriately. Although some raw food advocates promote the consumption of sprouted beans, we generally avoid sprouting harder beans like garbanzo, black beans or pinto which, in our opinion, should not be eaten in their raw or sprouted state. 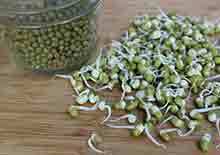 Others, like whole mung beans, lentils or green peas, are best for sprouting purposes, a process of which considerably diminishes lectin phytotoxins. These types can also be cooked after a brief sprouting period. 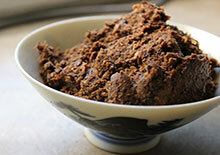 In recent years some experimentation with fermenting sprouted bean paste for a 24 hour period has also been popularized by those adhering to a raw food diet. To date, we have only achieved some success using sprouted lentils, lacto-fermented using a probiotic powder for one day with ground flax seed and then dehydrated into cakes. Generally, we consume most beans as cooked meals to neutralize and remove anti-nutrients that inhibit their protein absorption. Our #1 favorite way to prepare beans after cooking is to fermented them as tempeh with a Rhizopus oligosporus starter culture. The best way we have found to prepare beans is to soak them overnight in pure filtered water, strain and rinse, then add fresh water with a little sea salt and a piece of kelp or kombu seaweed and slow cook in a crockpot until soft and tender. 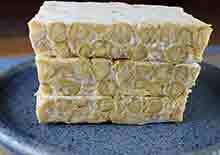 Making homemade tempeh is a fairly simple process once you have a good culture starter. Tempeh can be made from most any legume variety and doesn't necessarily have to involve soy bean. Other options may include garbanzo tempeh or black bean tempeh but other beans like pinto, navy, black eye peas, aduki and even kidney beans are also possible alternatives. 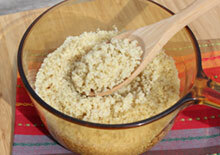 Some of the healthiest grains to consume are alkaline varieties like quinoa, millet and buckwheat. 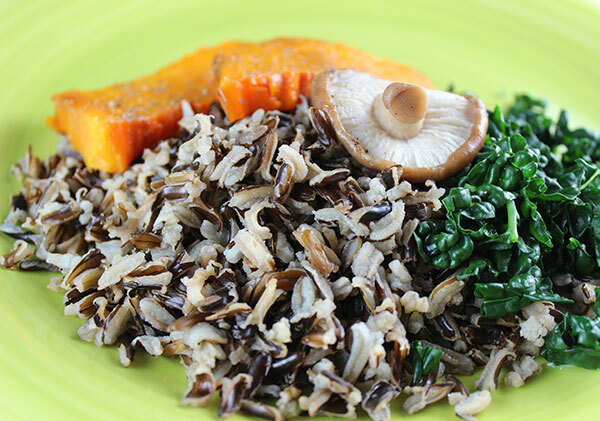 Other gluten-free grains, like brown basmati, brown jasmine rice, black rice, red rice, wild rice and many other types can serve as a base for a vegetable plate medley or can likewise be rolled sushi-style with sliced raw vegetables. The best way we have found to prepare grains is to soak them in pure water for a short amount of time and strain. This helps to remove digestion inhibitors like phytates. At this point you can add about 1/4-1/2 a cup less water to the standard ratios and continue to steam in a pot with a lid or rice cooker for the required amount of time. Again, some people like to eat straight sprouted grains as opposed to cooked versions. However, cooking them, not only significantly increases flavor and textural qualities and makes them more enjoyable to eat, it also breaks down their starches to increase assimilation, providing an energizing carbohydrate source. When using grains as a flour ingredient, it is often nutritionally beneficial to soak and sprout the whole grain first, then dehydrate until dry and grind into a fine flour which can be stored in an air tight container for later use. When Heating Vegetables - Lightly steam chopped vegetables so that they still retain a vibrant color. It is beneficial to also consume any liquid broth as it contains some of the valuable nutrient content. It is also possible to sauté vegetables with less oil or without any oil in a non-stick pan. While we don't promote the use of Teflon pans, there are several ceramic coated non-stick varieties available, like the Green Earth Frying Pan, which is free of Teflon associated perfluorinated chemicals or PFC's. Use Saturated Cooking Oils - If you do decide to grill or fry your foods, the best types of cooking oils to use are medium heat tolerant saturated fats, specifically coconut oil or red palm oil. Extra-virgin olive oils are best reserved for non-cooking purposes as they are slightly degraded by heat. We do not promote the use of refined or hydrogenated oils made from vegetable oils such as corn oil, cottonseed oil, sunflower oil, safflower oil, peanut oil, soy bean oil, canola and margarine. Keep Most Meals Simple Using Whole Food Ingredients - Although it can be a pleasurable experience to prepare elaborate cooked dishes on occasion, keeping meals simple using whole food ingredients can also be equally satisfying. It is good to alternate the foods you eat selecting from an assorted rainbow of fruits/vegetables, different types of leafy greens and bean or grain varieties. Use Natural Salt or Seaweeds - When using salt we recommend using either Celtic sea salt or pink mineral salt rather than standard refined salt. It is also beneficial to incorporate seaweeds whenever you can either as a salt replacement or as a way to increase mineral content. Kelp, nori and dulse are great ones to add to soups, sauces, beans, grains or as a sushi wrap. Miso paste is another option for soups and stews and can easily be mixed into sauces and bean dishes for increasing enzyme levels. Crock-pot Cooking - Using a crock-pot or slow cooker is a great way to make meals and prevent the loss of some nutrients. Heating foods slowly at a temp of around 200°F/93°C in a sealed environment enriches flavor and is an efficient way to prepare food when you're on a tight schedule. Adding Tonic Herbs - One of the traditional tea-making techniques employed for various tonic herbs, like astragalus, fo-ti and goji berries, is to add them to slow-cooked soup stocks, grains and beans. These Chinese herbs release health enhancing nutrients when simmered for a period of time. Usually root tonics are integrated as whole slices that can be later removed, whereas others like goji can be consumed as part of a meal. Include Raw Vegetables with Cooked Meals - Small portions of enzyme-rich sprouts, raw vegetables and salads are great to consume with cooked entrées to help increase fiber and digestive juices. They are a good way to add some of the enzymes back that are loss through the cooking process. Cultured Vegetable Condiments - Cultured vegetables, like sauerkraut or kimchi, can provide a flavorful way to enhance simple meals and are useful digestive aids to help break down foods so they are easier to nutritionally utilize. Using Digestive Spices and Bitters - Digestive spices include many of the Ayurvedic varieties like cumin, turmeric, asafoetida, ginger, cinnamon, curry and coriander. They can be useful for increasing "digestive fire" and eliminating malabsorption issues. In addition, herbs with a bitter taste tend to promote digestive secretions and speed up digestion. They are commonly consumed as a liquid concentrate or aperitif before a main meal as a "digestive bitter" and can be made up of a variety of herbs like gentian, juniper berry, dandelion and yerba santa. Digestive bitters can be particularly beneficial for the breakdown of fats. Digestive Enzymes - Enzymes are also available as a supplement encapsulated in powder form. They can be taken before meals to enhance digestive capacities and are especially useful when consuming heavy rich foods or cooked meat proteins.